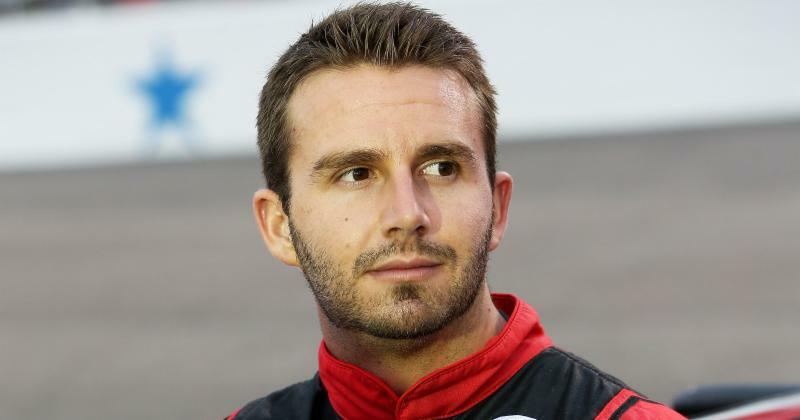 Matt DiBenedetto will drive the #32 GoFas Racing Ford in 2017. "This will be our first season in the premier series with one driver running the complete season for us,” said GoFas Racing owner Archie St. Hillaire. “We believe Matt's driving ability and a fleet of newer race equipment purchased this off-season will elevate our program to new levels in 2017. Backing for the team will come from Can-Am/Kappa, Keen Parts, Visone RV and Really Cheap Floors, with the potential for some of Scott's former RPM sponsors to transfer to GFR next season. "We're also talking with RPM about maintaining some of the No. 44 sponsors on our car," revealed St. Hillaire in an exclusive Sirius XM NASCAR Radio interview. "Three-quarters of our sponsorships are already sold; more than we’ve ever had." GoFas has purchased six cars from Richard Petty Motorsports; one superspeedway car and six downforce machines. St. Hillaire confirmed that he has leased GoFas Racing's 2016 charter to Wood Brothers Racing for use on their No. 21 Ford. GoFas will race using the charter campaigned by driver Brian Scott and the No. 44 Ford last year; leased from RPM. Scott announced his retirement from the sport prior to the season final at Homestead Miami Speedway. RPM is expected to field only a single car next season; the No. 43 Smithfield Ford driven by Aric Almirola. After weeks of conjecture and uncertainty, Dale Earnhardt, Jr. confirmed last week that he will return to NASCAR premier series competition in 2017, after missing 18 races this season with a concussion. 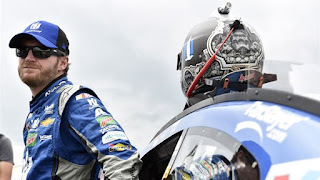 The Hendrick Motorsports driver completed a clandestine test at Darlington (SC) Raceway last Wednesday, under the watchful eye of NASCAR officials and neurosurgeon Dr. Jerry Petty, before being declared symptom-free and ready to race. 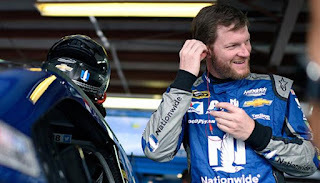 “The test… couldn’t have gone any better,” said Earnhardt afterward. 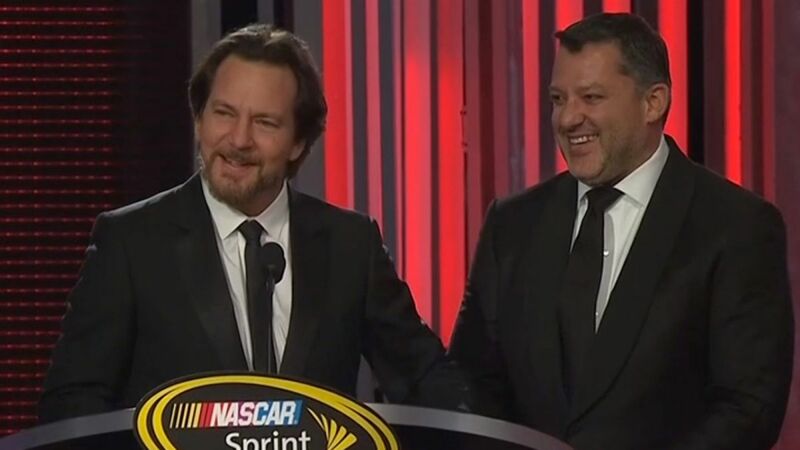 “NASCAR was really great to put it together. I appreciate them creating rules for drivers in this type of situation to be able to get in a car. It really helps build your confidence to know that everything is working like it’s supposed to work… before you get back into a full race weekend. “We just ran laps,” he said. “We put tires on, ran 15 laps at a time (and) took about a 20-minute break. Dr. Petty was there. We did a personal evaluation before I got in the car to set a baseline and Dr. Petty evaluated me after each run to see if everything was good. A lot of the things that he was checking -- visual and balance and so forth -- actually strengthened throughout the process. You sort of get acclimated and up to speed with what it takes to drive a race car, and those systems strengthened through the process. Earnhardt admitted nervousness prior to the Darlington test, saying, “I have nerves and butterflies every time I get in a race car. But I was certainly very anxious to get in the car (last week). As soon as I got my feet on the ground in Darlington, I was in my suit and over by the door, wondering if the car was ready to go. I couldn’t wait to get in there and see what I felt like. “I had a hard time sleeping the night before. It had been a long, long time since I had drove a car. As soon as I got out there… it came right back to me. It wasn’t like I had to re-learn to do it all over again. It felt very comfortable. Of all the tracks we could have gone to, Darlington was a good choice to put me through the test, physically and mentally. I was a little bit nervous about that. Darlington is a tough track, but the nerves were gone after about four laps. 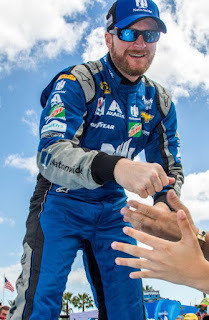 Earnhardt said it has been a long road back to where he was pre-injury, saying, “I worked with Dr. Micky Collins, and we worked -- not only to get healthy and back to being a normal human being again -- but to get stronger than we were before. I wouldn’t be coming back to the seat if there was any risk, other than the typical risk that every driver faces on Sunday. I feel very confident in what I’ve seen in myself, what my doctors are telling me about my future, the risks I am taking and my ability to be able to withstand the normal wear and tear of driving a race and getting in that unfortunate accident from time to time. The 14-time NASCAR Most Popular Driver said he returns to the cockpit with a new appreciation for his life and career. “You certainly realize things that you might be taking for granted,” he admitted. “(You) learn to appreciate a lot of different parts and aspects of your life a lot more. When you get something taken away from you, you realize what it is worth. We gripe about our schedule… but when you are watching your friends out there on the track and watching your crew work without you, it really puts things into perspective. It helps you appreciate what you’ve got. “I definitely feel recharged and energized about the opportunity to be able to come back and race,” he said. “I felt like I have a lot left in the tank (and) I’m excited about getting to Daytona. We are going to test in Phoenix, which I’m really looking forward to. Testing is kind of boring, but I’m ready to get more and more laps in the car, so I feel confident in myself. Confidence is really critical for me to perform well. The more I can do to help build my confidence before we got to Daytona, the better. 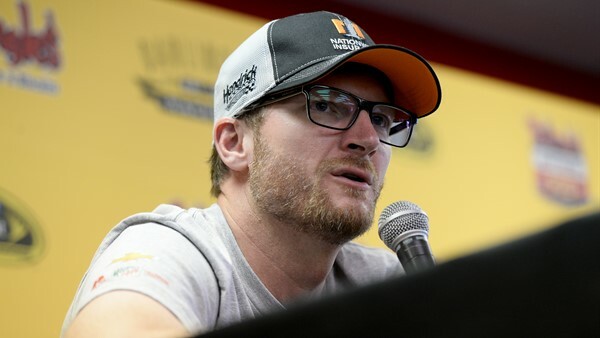 The third-generation NASCAR driver also commented on the role he has played in spotlighting the impact of concussions on professional athletes, saying "It is not something that I intentionally wanted to spearhead, but I have seen a culture change tremendously. “I think everyone in general -- not just athletes, but the public, the doctors...everyone -- we are all learning something new every day,” he added. “Mickey sees two dozen patients a day with various types of injuries, and every day he learns something new. He has seen a million people with the same thing that I had, but every day he learns something new. It's incredible the progress that is being made. It is happening right in front of us. It is being taken more seriously, and I think that is great. 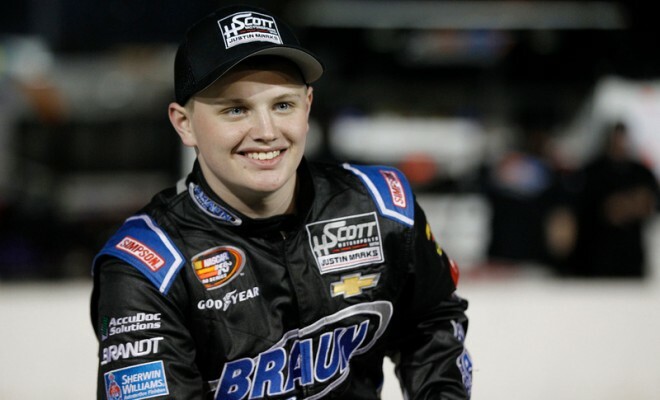 2016 NASCAR K&N Pro Series East champion Justin Haley will join GMS Racing for the 2017 NASCAR Camping World Truck Series season. Haley, who will accept his NKNPSE championship trophy Saturday night in Charlotte, NC, will drive the No. 24 Chevrolet beginning at Martinsville Speedway, under tutelage of second-year crew chief Kevin Bellicourt. 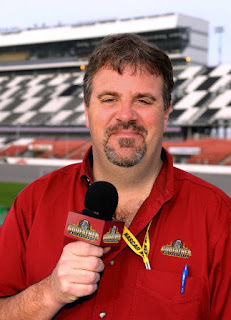 Bellicourt joins GMS after completing his first year as a NCWTS crew chief with ThorSport Racing and driver Ben Rhodes. He also earned the 2015 NKNPSE Championship with driver William Byron. HScott Motorsports informed its employees last week that the organization will not field a NASCAR entry during the 2017 season. 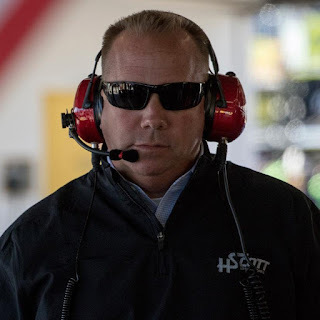 "Over the past several months, I considered a number of options for moving forward with the team,” said team owner Harry Scott, Jr., in a written statement. “Regrettably, there are no viable sponsor/driver options immediately available to allow the team to participate in 2017. One thing I learned about NASCAR is that it is a 'people business.' I will forever be grateful to the men and women who worked tirelessly to make HScott Motorsports successful. This includes our dedicated employees, sponsors and partners. We were fortunate to have the support of world-class sponsors like Brandt, DC Solar, Fraternal Order of Eagles, Pilot Flying J, and 5 hour ENERGY. Our racing program would not have been possible without the assistance of Rick Hendrick, Hendrick Motorsports, and Chevrolet." The charter owned by HScott Motorsports and used by its No. 15 team this season has been sold to Premium Motorsports. The charter that was leased for the No. 46 team was sold by Premium Motorsport to Furniture Row Racing. "I love this sport and being part of it,” said Scott. “I invested in NASCAR because I truly believe it represents the best racing competition in the world and the best people in all sports. Looking back, I will always be especially proud of the unprecedented success of our NASCAR K&N Series teams, including four consecutive championships and for the lifelong friendships that were forged over the last seven years. 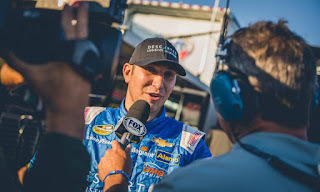 Massachusetts native Kaz Grala will drive the No. 33 GMS Motorsports Chevrolet full time in the NASCAR Camping World Truck Series next season. The soon-to-be 18-year-old rookie drove part-time for GMS Racing in 2016, with three Top-10 results in nine starts. He advanced to the final of qualifying in all but one race, and recorded a best finish of seventh at his home track, New Hampshire Motor Speedway. Veteran crew chief Jerry Baxter will oversee the operation, after spending the 2016 campaign with rookie Chase contender Christopher Bell. “I’m looking forward to next season with GMS and working through this transition with Kaz. I really enjoy helping young drivers get started in this series and developing their talent, and I saw what Kaz accomplished in the few races he ran last season,” said Baxter. There is no word yet on sponsorship, and the status of Ben Kennedy – drove the No. 33 Chevrolet last season – is unknown. Three-time NASCAR Sprint Cup Series champion Tony Stewart is not often left speechless. But Saturday night at the Wynn Las Vegas, the retiring NASCAR Sprint Cup Series driver was surprised with the announcement of a $1.8 million donation in his name to the EB Research Partnership, a global non-profit organization dedicated to curing Epidermolysis Bullosa; a serious skin disorder. The announcement came following a surprise appearance by Pearl Jam front man Eddie Vedder, a friend of Stewart’s and a leading proponent of the EB Research Partnership. The announcement came from Hendrick Motorsports owner Rick Hendrick, who joined NASCAR vice chairman Mike Helton on stage, and brought both Stewart and Vedder close to tears. The motorsports industry originally planned to raise $1.4 million for the cause, corresponding to Stewart's iconic No. 14 car number. But a herculean effort led by Stewart’s longtime business manager, Eddie Jarvis, soon surpassed the $1.4 million goal by a longshot, as individuals and corporations stepped forward to express their affection and admiration for one of NASCAR’s greatest champions. “This is un(effing) believable,” said a stunned Vedder, adding, "Are we on television? I'll pay the fine." The honor was fitting for Stewart, whose charitable foundation has contributed more than $6.5 million over the years to organizations benefitting three of his favorite causes; children, animals and injured racers. In addition to those cash contributions, Stewart meets with literally dozens of handicapped and terminally ill children each season, while steadfastly refusing any publicity or credit for his efforts. "Tony wanted to have a very low-key sendoff during his final NASCAR season,” said Helton. “He was pretty emphatic about it. (But we) as an industry felt it was important to honor him. People know how passionate he is about motorsports, but he's equally passionate about helping others. On behalf of the entire motorsports industry, we felt this collective donation in Tony's name was a fitting tribute to all that he's accomplished during his NASCAR career." It was all that, and more. "The pain these kids (with EB) face is constant, and yet they still find ways to stay upbeat," said Stewart Saturday night. "You quickly realize that your idea of a bad day is nothing. It puts your life and the things you take for granted in perspective. But it also makes you mad, because this is a devastating disorder that no one should have to endure. Yet it exists, and after seeing it, you want to do anything you can to make it go away." EB sufferers lack proteins that bind their skin together, resulting in painful wounds that never heal, the fusing of fingers and toes, along with blisters, intense pain and disfigurement. The condition can also cause blisters in the eyes, mouth, esophagus. The condition affects one in every 50,000 births -- roughly 25-30,000 people in the United States alone – and has no known cure. 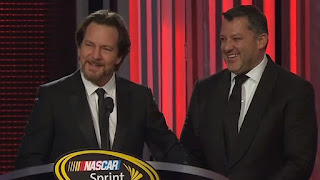 Those words – strong, cool and admirable – apply equally to Tony Stewart, and it was nice to see him honored in his final trip to the champion’s stage as a driver. NASCAR and Monster Energy have announced a multi-year agreement that will make Monster the entitlement sponsor of the premier series, as well as the annual NASCAR All-Star Race. Monster Energy, which will begin its tenure as naming rights partner on Jan. 1, 2017, will become only the third company to serve as the entitlement sponsor in NASCAR premier series history, following RJ Reynolds and Sprint/Nextel.